and vaulted ceilings with built in custom windows and skylights. 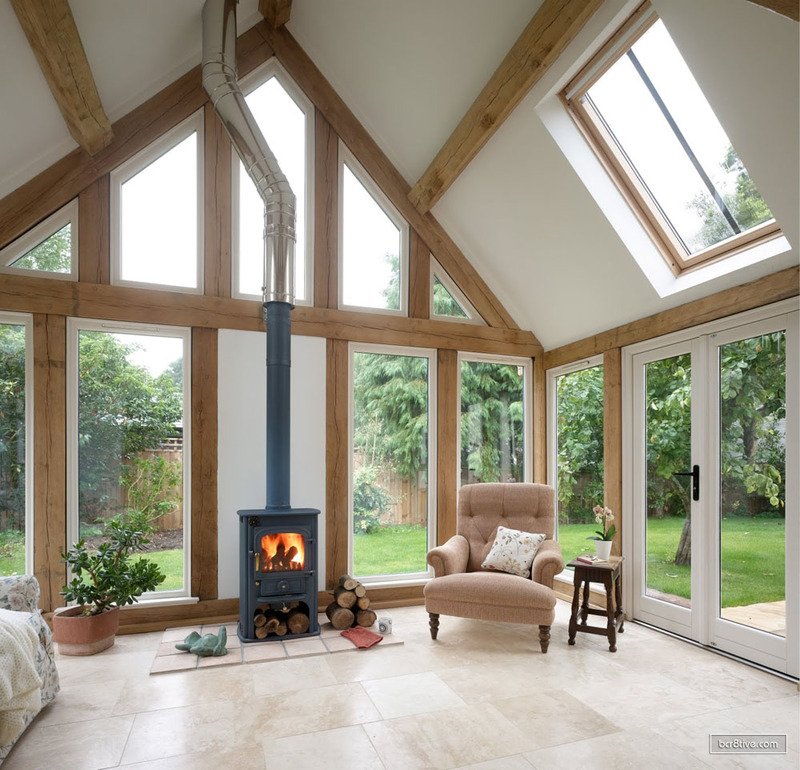 I just adore this room with custom windows built into the vaulted ceilings. I had a place with them once and it was so cozy. 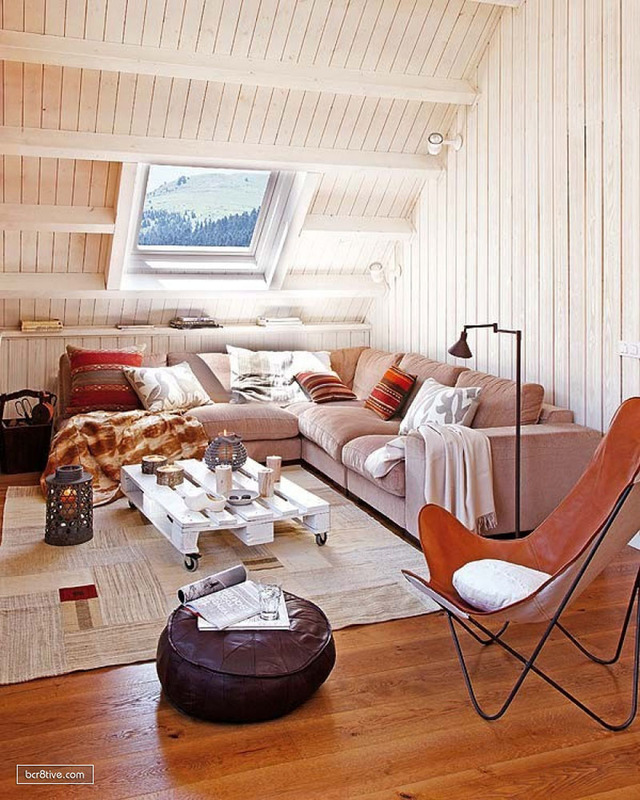 I like the neutral colors set off by accents of warm tan and coral-reds and also the combination of textures in the shag-rag rug and soft leather sofa and chair. The lightness of the room makes it appear larger and the all around shelf is great for accents as well as additional storage. Though I’d have liked to see some small darker accents, like perhaps some wood or even wrought iron, I still love the room. I especially like the lighting effects that emulate the window light and especially the addition of the light up table lamp. This has such a nice natural feeling by means of the wood paneling, the custom, built-in cubby hole and the porthole window. 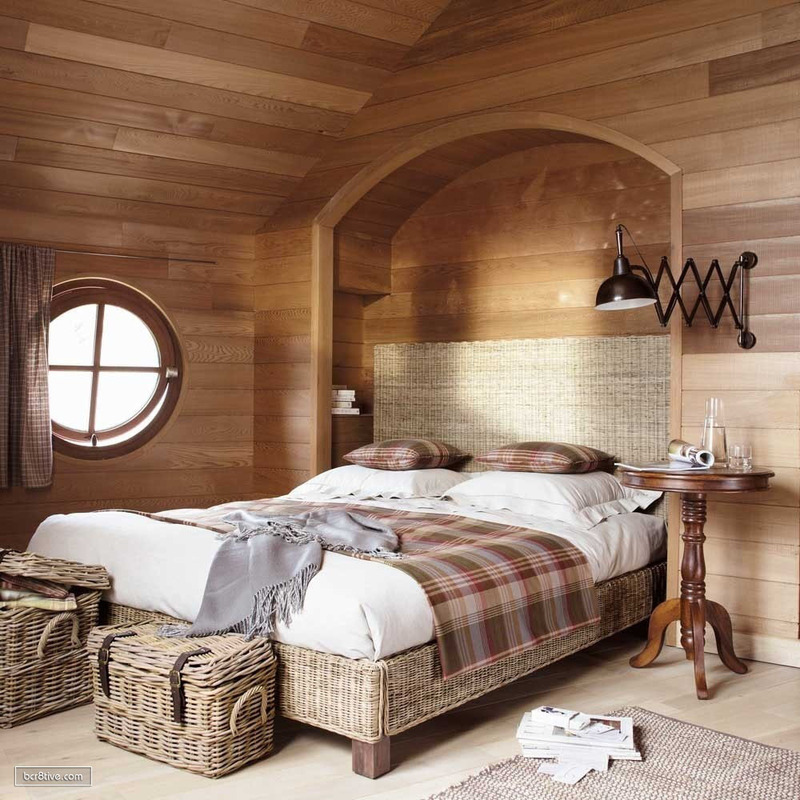 The Rattan furnishing and storage provide a depth of texture as well as maintaining a natural, somewhat masculine feeling to the room. It’s quiet and peaceful. This one has a lot of country charm. I like the rug, quilt, sideboard sitting area and pillows. Here, I also like the accents of cooler colored blue and green glass on the upper shelf, providing a nice contrast of color to the predominantly warm color scheme found throughout this home. 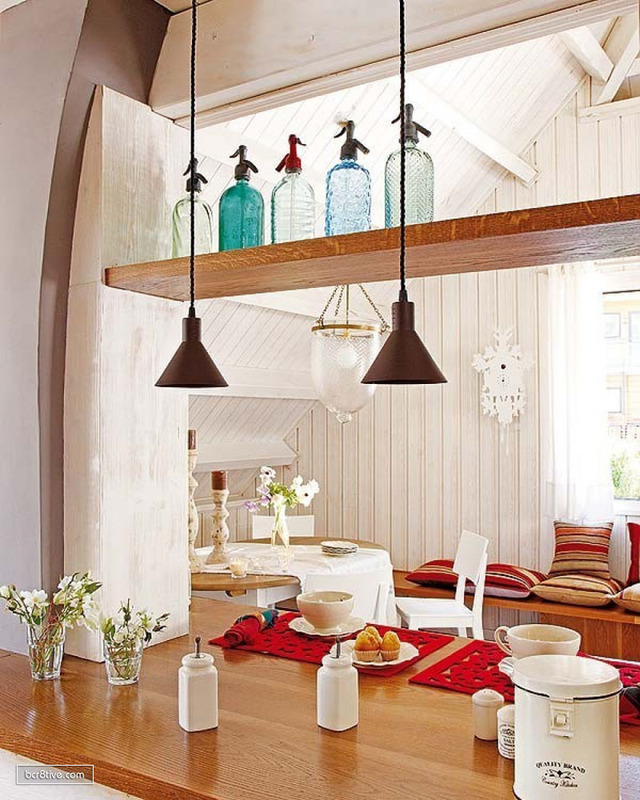 A more rustic style vaulted ceiling in these examples, in a cozy home located in the Pyrenees Mountains. 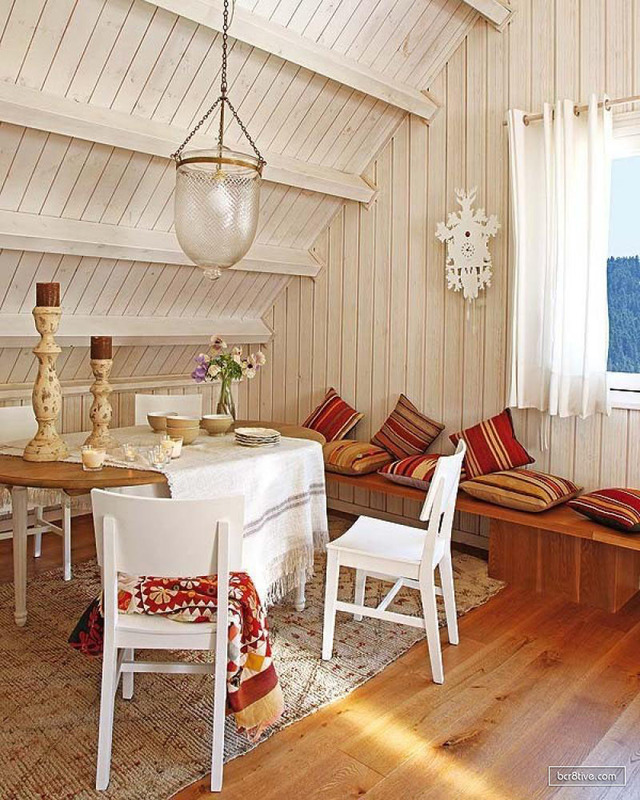 Once again, light neutrals were used on walls and ceilings, helping to keep the areas open and bright and is decorated with slightly darker neutrals combined with a warm wooden floor and warm home decor in browns, rustic oranges and reds. Strategically placed spot lights are facing up in the living area, which will provide night time focus on the ceiling in a soft, romantic way. Check out the view from the window in the vaulted ceiling!